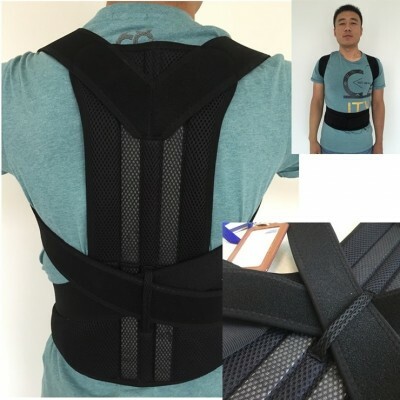 Back Pain - Need Help -Posture Belt-C: 0299. 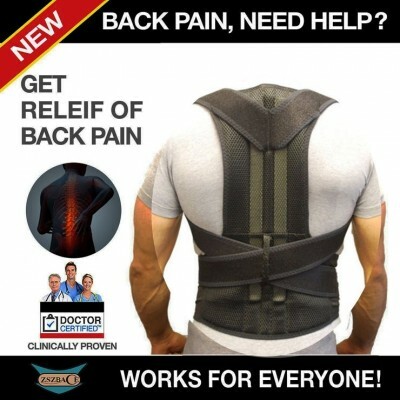 Product Name: Back Pain-Need Help / Back Brace Waist Support Belt - Helps Relieve Lower Back Pain & Round Shoulder. - About The Product: ✅ REALLY IMPROVE POSTURE - GAIN CONFIDENCE. FDA-approved Medical grade device Posture Corrector back brace works by training your muscles & spine to return to their natural alignment. 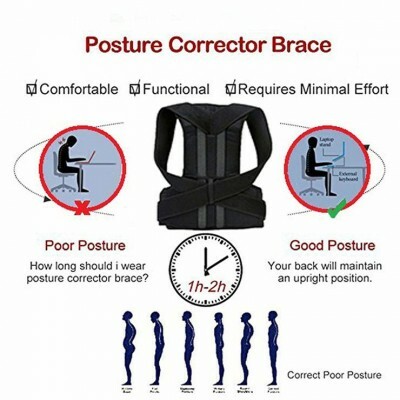 Improve posture & reduce slouching immediately with adjustable strap design. The attached Posture Guide ebook provides additional information & exercises. It also helps you gain confidence with a naturally dominant posture. Useful for Prevention of Cervical - Thoracic Conditions. ✅ REALIGNS YOUR SPINE & REDUCES BACK PAIN: You could improve posture and help your spinal column achieve the appropriate alignment. This Posture Corrector helps you realign your spine the natural way. 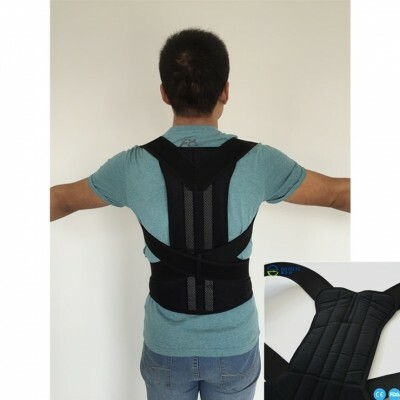 It can be extremely useful for those individuals who suffer from chronic back or neck pain a posture corrector. By providing extra support to the spine and shoulders, and a minor amount of immobilization, a brace can reduce the discomfort experienced through back and neck pain. 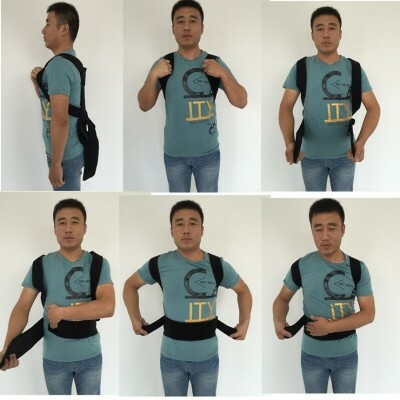 ✅ EASY TO PUT ON & STRONG YET COMFORTABLE: This is the only back and shoulder brace posture corrector that you can put on and adjust by yourself - NO HELP FROM OTHERS REQUIRED. Belt durable and comfortable design allows effective assistance while being comfortable to wear. The cushioned straps pull your shoulders back while waistband supports the middle and lower back. 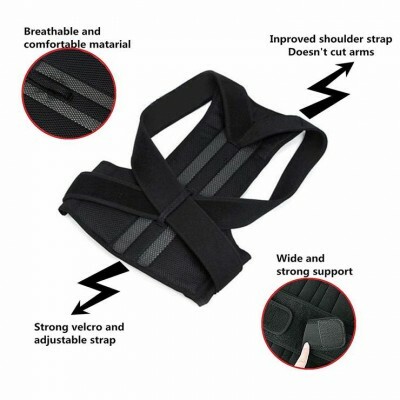 ✅ In the case of an injury to the shoulder, neck or spine a posture corrector brace is the perfect appliance to reduce movement to the injured area. The reduction in the movement will speed up the recovery time and ensure the injury heals without complication. They are very effective when used to rehabilitate sports injuries as well. 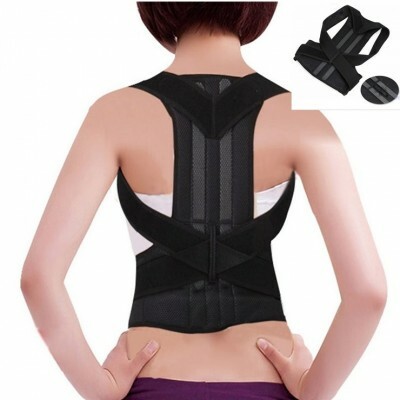 - Product Features: Top quality Back Posture Belt. 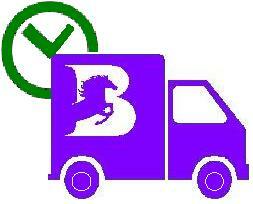 - Note: 100% Brand New & Genuine - High-Quality Product.